Summer Couple. 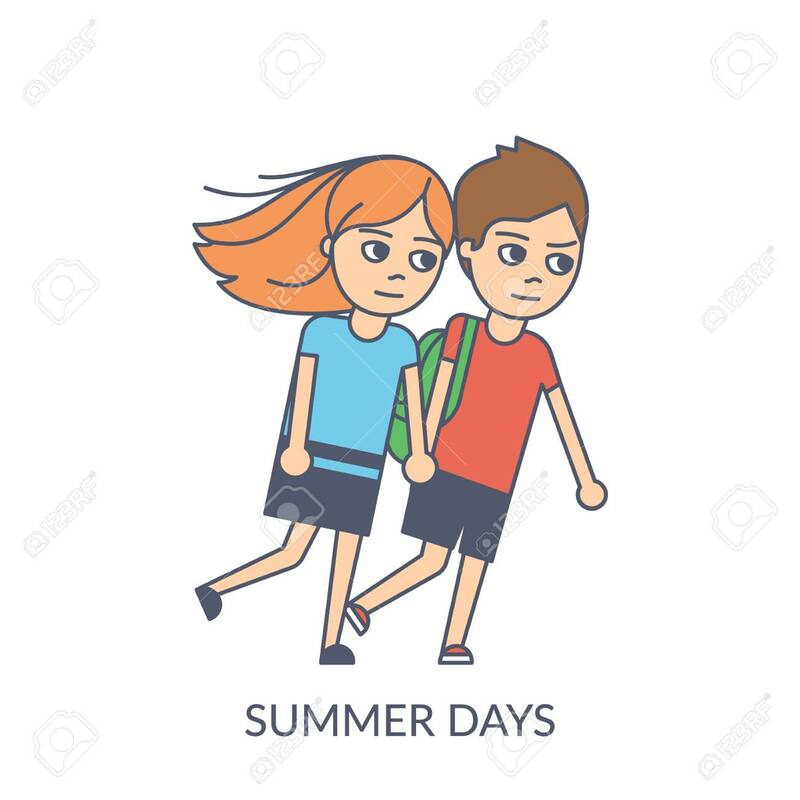 Cartoon Flat Vector Illustration Of Young Girl And Boy Holding Hands And Walking Together In Windy Weather. Smiling Teenagers Isolated On White Background Lizenzfrei Nutzbare Vektorgrafiken, Clip Arts, Illustrationen. Image 102559806.